How you change your email password depends on what type of email account you have. Email account on own domain name using Email or web hosting service. If you have a Gmail,Yahoo ,Hotmail or outlook.com email account then your email password is also your account password. There fore to change the password you will need to logon to your email account using a web browser and change it there. 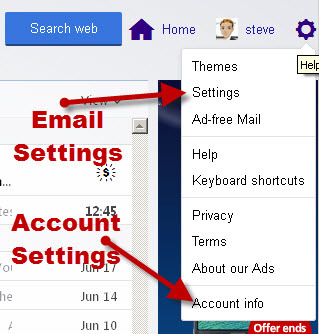 If you are using an email client like Windows Live mail or an Email App on your tablet or smart phone to access your email you will also need to change the password there to match the new password. Change password on any email clients or Apps to match the new password. Below I cover Yahoo in more detail. This article has detailed instructions for all three providers. Your email password is your Yahoo account password. To change it place your cursor over the gear icon (top right). A drop down menu appears. Select account info (at the bottom), Select account security from the menu on the left and then click on the change password link. A security dialogue box appears select change password at the bottom. A new password box appears enter your new password and confirm it. Remember to choose a strong password. A recovery options screen appears showing your current recovery options and the option of changing them. Click Looks Good to Finish. Now close the browser and then open it and sign into Yahoo mail with the new password. If you go to your recovery email mailbox you should see an email from Yahoo about the password change. This video show how to change Your email password on Yahoo. If you are using email from your ISP then you will probably have several email addresses and associated passwords. You will need to login to your ISP account and change the passwords for each email account. In this case the email passwords are separate from the account passwords. Go to to email Admin section and change email passwords. Most small business use the email hosting services of their web host ( see email for small business) or a dedicated email hosting service. 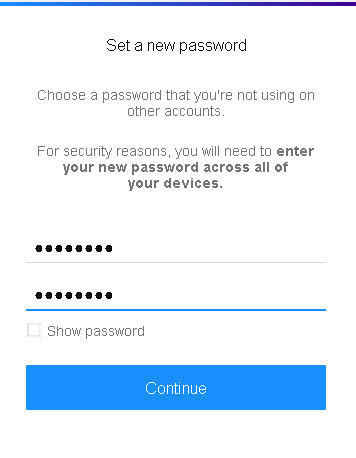 In either case the email passwords will be separate from the Account password. 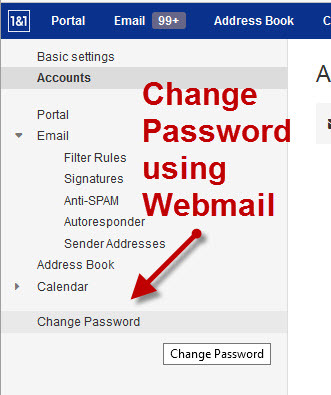 It is usually possible to change the email password using the admin control panel or from the webmail client. Individuals will usually also be allowed to change their own email passwords using the Webmail client. 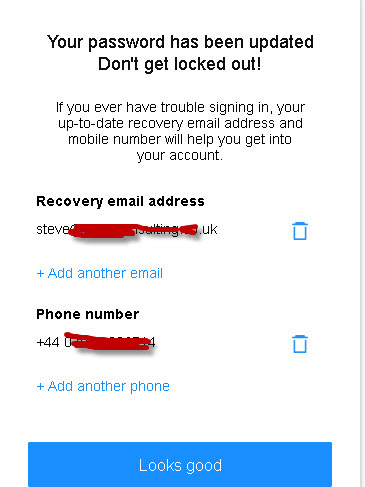 If they logon to their Email using a Webmail client and located the change password link (screen shot below 1and1). This Bluehost help article show how to change email passwords on Bluehost using a webmail client and Cpanel.